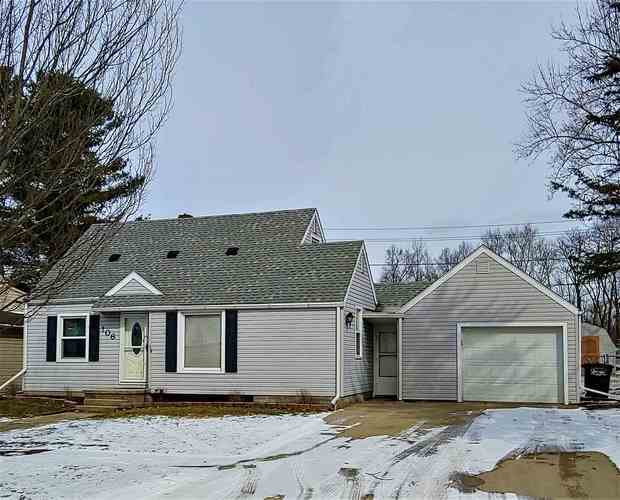 Here we have a WELL maintained 3 bedroom, 1 1/2 bath home. Want a large bedroom? The upstairs master is VERY large! Want a finished room in the basement to get away on the other side of the house? Yes, it has that too. New flooring in the living and main floor bedrooms in 2018. 1 car attached garage boasts plenty of room for a workshop, or park the car. Fenced in back yard adds a ton of security for someone with kids or pets as well, along with the shed that has power ran to it already. Toilet and shower in the basement for your comfort as well. The sellers have thought enough for preparation, that this home also includes a whole home generator, if the power does go out. 7,000 BTU generator, and easily accessible hookups, will add plenty of security value to this home. It may not look big & bulky, but rest assured that this cozy house is very much waiting for a fast arrival. Move in, kick your feet up and enjoy everything it has to offer. Schedule your personal tour today! Directions:State Road 3 North out of Kendallville. Turn West onto Shalley drive and home is down on the north side of the road. Listing provided courtesy of Hosler Realty Inc - Kendallville.